This is how to make or change or set your profile picture on BBM (BlackBerry Messenger) but keep on its original dimension or size without cropping it to square size dimension. With following this tutorial you can set your profile picture in all size or dimension, like portrait and landscape. More, you can set an animation picture become your profile picture in BBM. As we know that on the newer version of Blackberry Messenger we can post picture with its original quality and without crop it to square size, like posting a picture on Facebook or Instagram. But I believe that it’s not what we are talking about here because that feature appear for feeds or timeline only, our profile picture still on square size. So, with this article I hope you guys can find the answer on how to set your BBM profile picture with any size or dimension. Check this out! 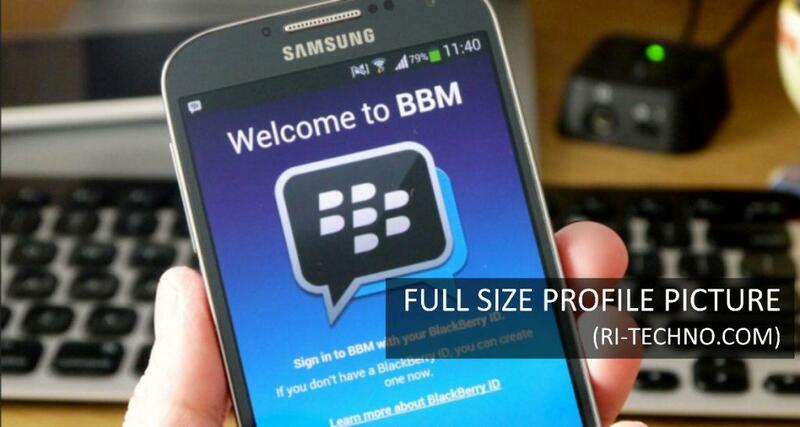 First, We need to convert the extension of image that we want to set as our BBM profile picture. We need to change any type of image like JPG, JPEG, or PNG to >>GIF type, and this is the key (the type of image should be GIF). After you have your GIF type of image you can directly set it as your profile picture on BBM. Actually that’s the point of this tutorial, now you can leave this article and start to converting your image. Hoho.. But to make it clear, below is the step by step on changing or set your profil bbm picture to any size or dimension. The steps are so easy but we need an image converter app (application) to make it easier. I don’t have app recommendation for you because most of the app that available is having the same feature and we only need the converter features in this case. Just search ‘Image converter’ or ‘GIF maker’ on the AppStore or PlayStore and install on your phone or computer (optional). As we talk before, we need an ap to make the process easier and save more time. So we need a converter app that could convert image or video become a GIF type (.gif extension). I don’t have a special recommendation for this but now I am using an app that called GIF Maker I am not sure if it’s good for you too but I found that this app was enough for my need (converting to GIF). So I you have any other app, that’s okay because the expected outcome will same, Image with GIF type or extention. Just follow below instructions. Download and Install GIF Maker (or other) App on your phone. Search image converter app on your PlayStore (Android) or AppStore (iOS iPhone), just type “image converter” or “convert to GIF” or “GIF Maker” and some application will come up. Pick one and install it on your phone, we recommend you to choose the app that have a good ratting and more installs. In this case, we will use GIF Maker as sample. Open Image Converter App (GIF Maker) and select your photo or image. In most of converter app you must be asked to select what you want to do and make sure you choose ‘create /make /covert file to GIF’. Then you will be asked to select the image or photo that you want to convert. Convert it to .GIF type (extension) >Save. 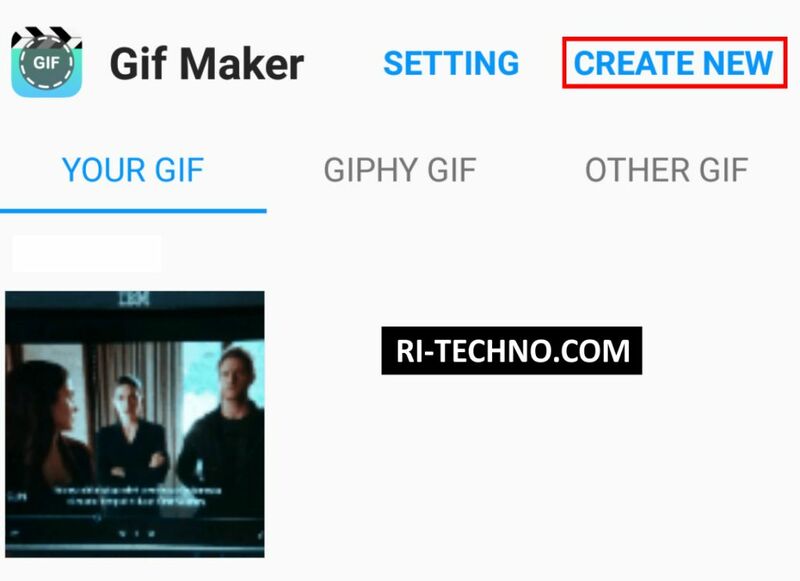 If you are using GIF Maker App you can follow this steps >Create New >From Image (Select Source) >Select Photo (One or More) >Next >Save >OK (Set Quality). After you save it, the GIF image will be stored at VideoToGif Folder. Open BBM App. After you save and locate the converted image on you phone, now you can close the image converter app and Open BBM application as usual. Change BBM profile picture with converted image. 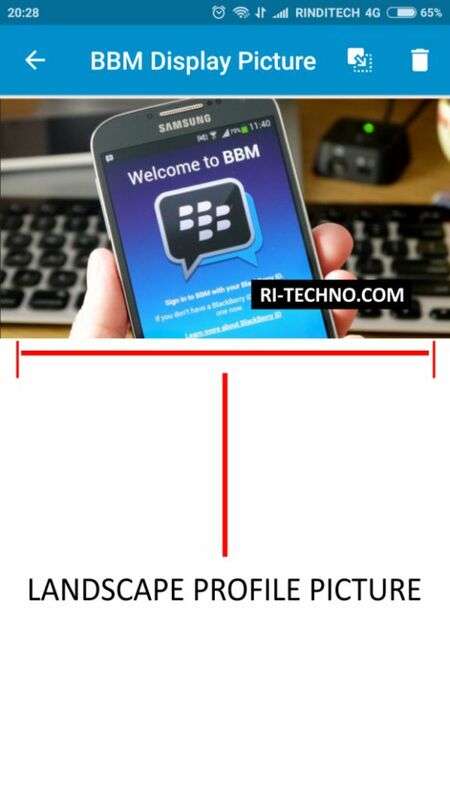 Now you can choose the image become your profile picture on BBM without crop it to square size dimension. If the image dimension. Done. After you change the extension or image type to GIF you can set it as your profile picture anytime as long as you keep the GIF file or image on your gallery. As We talk above that beside you can set an image with any dimension or size as your profile picture, you can also make an animated image, like short video become your BBM profile picture. The tutorial will not on this article but you can get the animated gif picture on the internet. As it converted to gif file, when you choose the image from BBM it will automatically set as your profile picture without advance confirmation because it will not show on crop page (to square) section. But it is not a big problem because if you choose the wrong image, you can change it anyway. I hope this article or tutorial help you guys in making your profile picture better, especially when you hate when some of your face or view are cropped by the square rules. If you have any question or having some trouble in implementing this tutorial, please don’t hesitate to contact me at comment box below. Thanks and be a wise user. #beWiseUser.